Lighthouse Marlow operates a crèche for Volunteers' children who have not yet started school and who are therefore too young to attend Lighthouse. 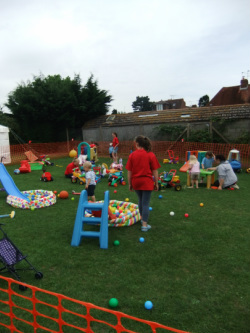 The crèche is only for Volunteers children and you must be on site at all times when your child is in crèche. For those children in crèche who will be starting school this coming September we run some organised events along the lines of the theme for the Lighthouse week - a kind of 'mini-Lighthouse' programme. It is very important that you register any children who will need a place in crèche when you register yourself as a volunteer.